Bucks County, PA is home to great schools, and Pennsbury School District is no exception. Comprising 16 schools, including Pennsbury High School, the district has recently featured seven National Merit Scholarship finalists and one winner. Extensive extracurricular activities and a high college placement rate make it a great place for your kids to grow. 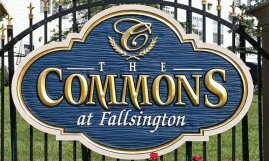 When your kids live at the Commons at Fallsington, they'll have a safe, comfortable apartment home, and Pennsbury School District teachers who'll help them thrive. Ask us for more details on life in Bucks County and apartment rentals in Pennsbury School District.